I’ve been in food and drink heaven over the bank holiday weekend, which I spent in Liverpool. During a trip to the Baltic Market, I sampled the seitan strips and chips from veggie food stall Down The Hatch, and loved it so much I headed to their restaurant on Duke Street the following evening. 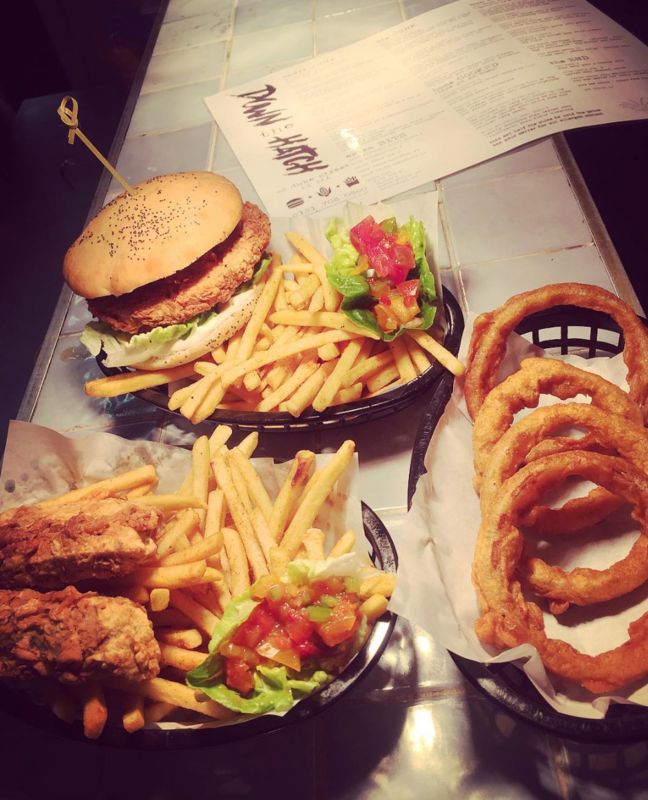 Down The Hatch promises vegetarian and vegan junk food, and with a menu full of veggie-friendly takes on comforting classics like burgers, mac and cheese and spaghetti bolognese, as well as inventive options like deep fried veg, pulled jackfruit dishes and my now-favourite seitan strips, it certainly doesn’t disappoint. I reckon it’d leave even the most hardy meat-eater satisfied, plus there’s a fab cocktail menu, and the staff are super lovely too. Following a lovely trip to Barcelona over the long weekend, I have too many favourites this Friday to talk about! But I’m going to go with La Boqueria, an amazing open air food market in central Barcelona. St. Josep La Boqueria is located just off La Rambla and was once rated the best market in the world, packed full of amazing fresh produce that gave me major cooking urges! More importantly were the amazing little tapas bars tucked away at the back of the market, serving up delicious fresh tapas dishes to visitors perched on bar stools. The tapas offerings that caught my eye the most were definitely the seafood dishes – the bars were serving up incredible looking fish, crab, octopus and loads of shell fish. I spent far too long mulling over the menu with cava in hand, and we had to make a snap decision when the waiter appeared, going for a salted cod salad with anchovy tapenade and black olive powder, and traditional Catalan bomba (similar to a potato croquette, usually filled with ham or seafood). It may sound a little random but they were actually great impulsive choices! La Boqueria is massive tourist attraction so is obviously really busy, but this didn’t put me off at all, it was a great experience and I could have spent all day eating and drinking at the different bars! If you’re planning a Barcelona visit, this should definitely be on your list. 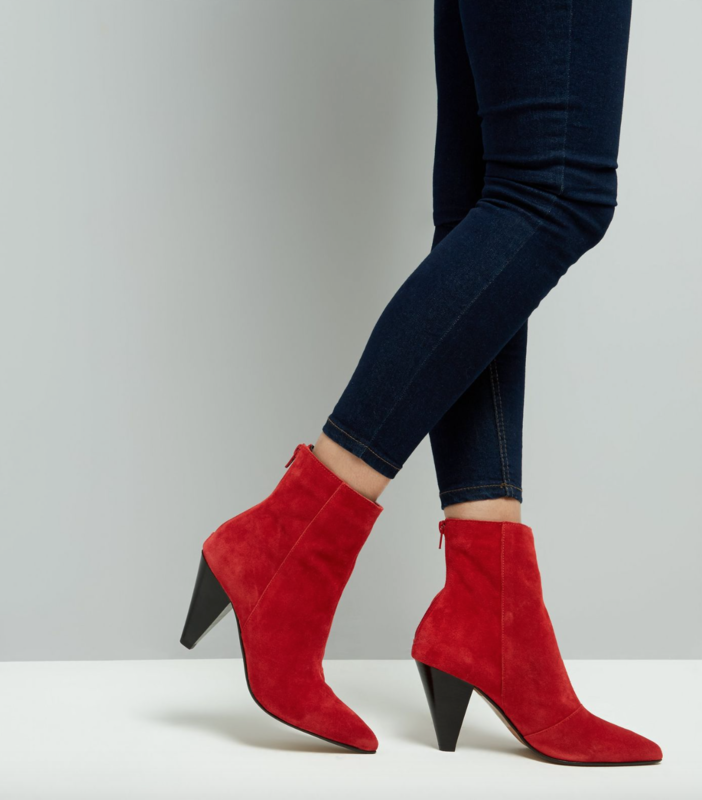 It was only last week that I declared a new-found love for red in a post on this very blog, so it’ll come as no surprise that this week’s Friday favourite appears on that very post – the red cone heel New Look boots, to be exact. I’ve only worn them twice to date but I am absolutely adoring them – despite the pain I was in after their first wear! So far, I’ve worn them with light jeans and a grey jumper/black cami, but I need to challenge myself to think up new outfits based around them. I am, of course, holding out for red trousers to team them with, but in the meantime, I think they’ll go beautifully with a flowy midi dress or a gingham skirt. Now if it can hold off raining, that would be great – suede and Manchester weather are not a match made in heaven!